Egyptian Minister of Foreign Affairs Sameh Shoukry met Wednesday with President of the Committee of Foreign Affairs and Defence in the French Senate Christian Cambon during his visit to Paris. 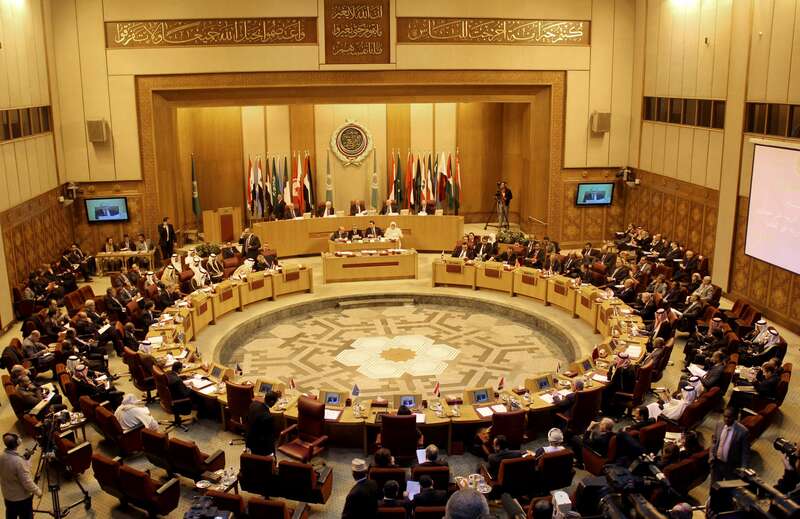 Shoukry congratulated Cambon for his presidency of the committee and expressed Egypt’s keenness on continuing relations between Egypt’s Parliament and the French Senate, as well as opening new channels of cooperation between the two countries, Ministry of Foreign Affairs spokesperson Ahmed Abu Zaid said in a statement. Egypt’s FM also thanked France for its support of Egypt in the last years, saying that Egypt is looking for the French support in the European Parliament. 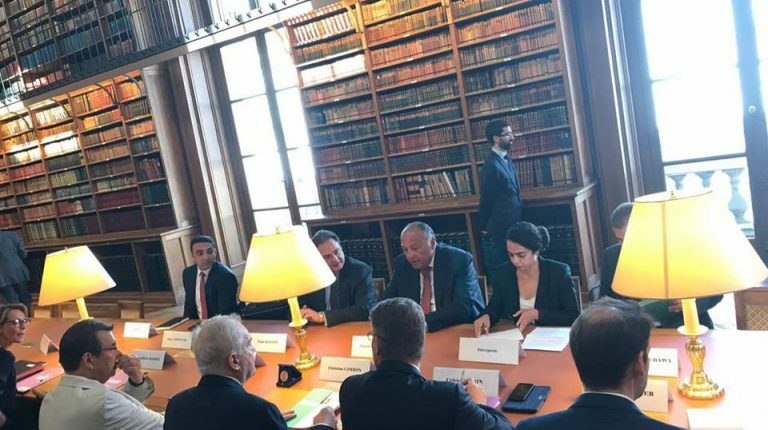 Shoukry briefed Cambon on the basis of the Egyptian policy towards the situations in the region, and the French side was interested in knowing the Egyptian evaluation for the agreement between the two major Libyan factions that was signed in Paris on Tuesday. On Tuesday, French Minister of Foreign Affairs Jean-Yves Le Drian said that French-Egyptian relations are stronger in all fields than at any other time before. During his attendance of the celebration of the Egyptian national day at the Egyptian Embassy in Paris, Le Drian praised the Egyptian-French economic and military relations, along with the current coordination on the big issues and challenges, especially war against terrorism, according to Abu Zaid. Le Drian stressed that Egypt and France share the same point of views regarding the Libyan crisis and the necessity of boosting peace and stability in Libya.